I've been making these 'whimsy' blocks on & off now since June last year. 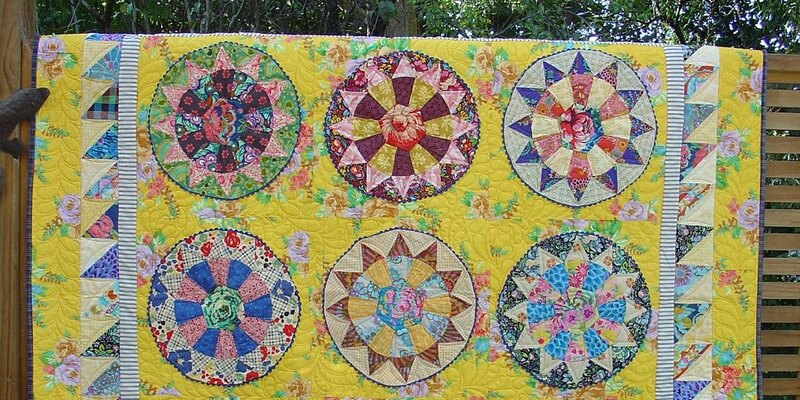 They are from a quilt in Judy Newman's new book, 'quilts made for life made with love'- see here for more details. I'm using lots of large florals and blending itty bitty prints. There are a couple of cheeky inset seams which I seem to have mastered now. I've found I need to use a scant 1/4" seam and pressing all the little sections as I go really helps. And machine piecing them goes a lot smoother if I leave adding those red & white stripe corner triangles til the very last. With these four new blocks I've got a total of 25 now . . .
and here's a group photo so far . . . Your fussy cut centers make a very interesting quilt block. I absolutely love this Linda, I think a floral quilt will have to move up my want to make list. I hope you will keep this one for yourself. Very pretty. Lots of interesting fabrics. As always, your red and white stripes make perfect corners for the floral stars. What a lovely quilt - although I like the one in your banner, too. So much beauty on your blog. They look amazing - love the red/white - that really makes them shine! I love the look of the blocks. They make for a beautiful quilt-top! I will be going to a meeting with Judy Newman in Holland at the end of May and I’ll also take a class! I love the colors you put together in this! The circular design effect is really neat, too. It's coming together beautifully! 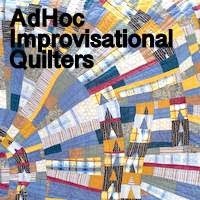 What a happy quilt. It just makes me want to smile. It's nice to see this one is still growing. I particularly like the way the red and white striped corners work with all your glorious florals. Love how these blocks are turning out... and that red/white stripe is genius! How many more do you need to make? What lovely blocks! They are coming together beautifully. That is a very tricky block to sew! A fun challenge! LOVE the stripe on the corners... the movement is fabulous! Such pretty fabrics. Your quilt is coming along so beautifully. Love that soft red and white strip in the center areas between the blocks. I am such a fan of a bit of red added along with lovely fabrics! Oh don't the whimsy blocks look fabulous together, beautifully fresh and light. WOW! Love the florals and the stripes. It's going to be gorgeous. Great to see it growing. Love the new blocks.